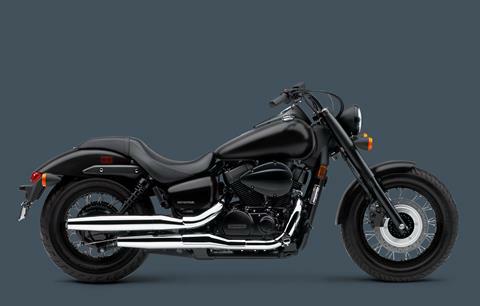 This bike doesn’t need shiny colors and excess chrome to make its presence known. We like to leave that to its blacked-out 745cc V-twin engine and its commanding, throaty exhaust. The Phantom is finished off with spoked wheels on black rims, tough front fork, bobbed fenders and matte silver highlights. No matter if you’re cruising the boulevard or taking a weekend trip, you’re going to be comfortable with the Phantom’s slightly more upright seating position. Here’s something that’s going to make you feel even more comfortable, the Phantom’s low price tag. It’s time to make your move and get on a Honda Phantom. 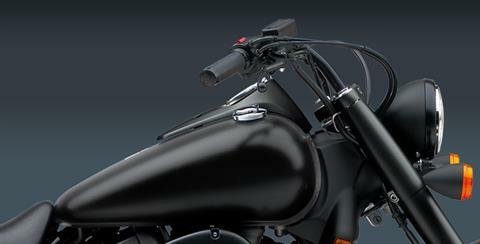 GUNFIGHTER SADDLE: Sleek, one-piece gunfighter-type seat is comfortable and looks great too. LOW SEAT HEIGHT: Skimming the pavement at just 25.8 inches, the Phantom’s low seat height makes flat-footing it at stoplights or in parking lots a breeze. And the Phantom’s narrow seat / tank junction makes it feel even lower. THREE-VALVE DUAL-PLUG COMBUSTION CHAMBER: It’s the best of both worlds: The three-valve combustion chambers used on many of our V-twin cruisers feature two intake valves and one exhaust, helping them breathe efficiently to boost both horsepower and torque. 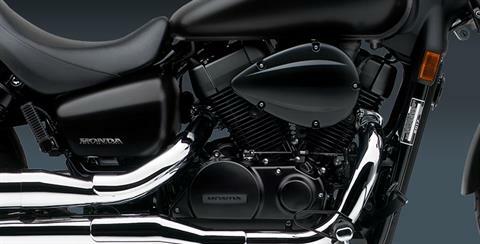 V-TWIN ENGINE: Nothing pumps out the torque like a big V-twin. The Phantom’s power makes it perfect for both around-town cruising, commutes and casual weekend-long rides. 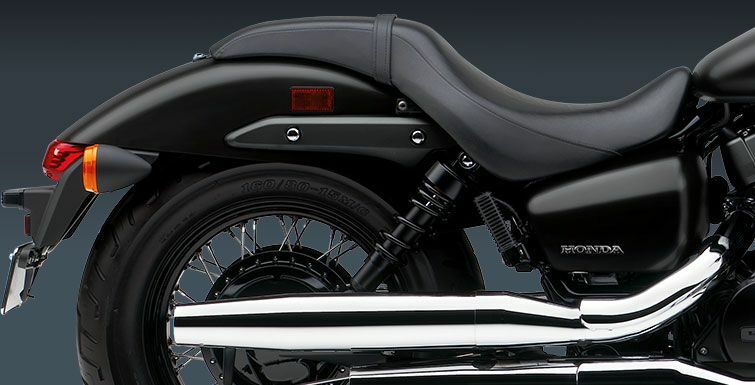 STYLISH FINISH: Bobber-inspired styling with extensive blacked-out and matte finishes. SHORTY FRONT FENDER: Minimalist front fender gives the Shadow Phantom a lighter, cleaner, more progressive look. 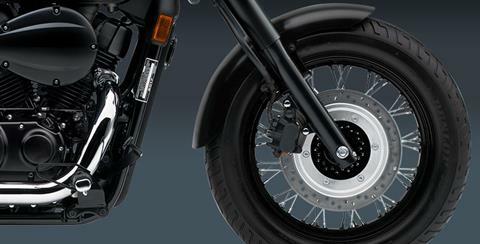 FRONT-DISC BRAKE: If there’s one place you don’t want retro performance, it’s your brakes. That’s why we gave the Shadow Phantom a 296 mm front disc for distinctly modern stopping power. SPOKED WHEELS: Spoked black wheels and hubs feature a 120/90-17 front tire and 160/80-15 rear tire to complete the overall custom look. ALWAYS WEAR A HELMET, EYE PROTECTION AND PROTECTIVE CLOTHING. NEVER RIDE UNDER THE INFLUENCE OF DRUGS OR ALCOHOL, AND NEVER USE THE STREET AS A RACETRACK. OBEY THE LAW AND READ THE OWNER’S MANUAL THOROUGHLY. For rider training information or to locate a rider training course near you, call the Motorcycle Safety Foundation at 1-800-446- 9227. 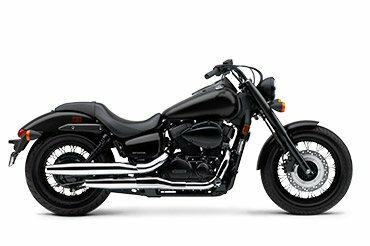 Shadow Phantom® is a registered trademark of Honda Motor Co., Ltd.